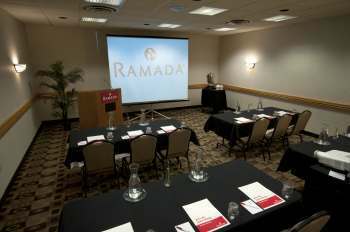 The Ramada of Marquette is an ideal location for meetings, conferences, trainings and conventions. We are a full service hotel conveniently located in downtown Marquette. With 6 different sized banquet rooms, we’re small enough to make your event personable yet spacious enough to handle events for up to 400 guests. Our knowledgeable sales staff is prepared to assist you in coordinating your event from start to finish. From audio visual equipment to menu planning, we can help ensure that your event is a success. Enhance your next meeting or conference with any of our full service catering options. From breakfast meetings to boxed lunches, networking cocktail parties to awards dinners, the Ramada can help you create a lasting impression on your guests.